A PAIR of soft-tissue injuries this year and a birth certificate that says he will soon be turning 36, hasn't dimmed Hawthorn's faith in Shaun Burgoyne, with the champion utility set to continue playing in 2019. The Hawks announced a one-year contract extension for Burgoyne on Monday, for what will be his 10th season with the club and 18th in the AFL. He has played 196 games for the Hawks since coming across from Port Adelaide in 2010, after 157 games for the Power. "I'm pretty excited to go around again. It was another big decision and a big step but I'm excited where the team is at and I feel I can contribute," he told hawthornfc.com.au. "I have been able to play a really good role. 'Clarko' (coach Alastair Clarkson) was happy with that so it was an easy decision." 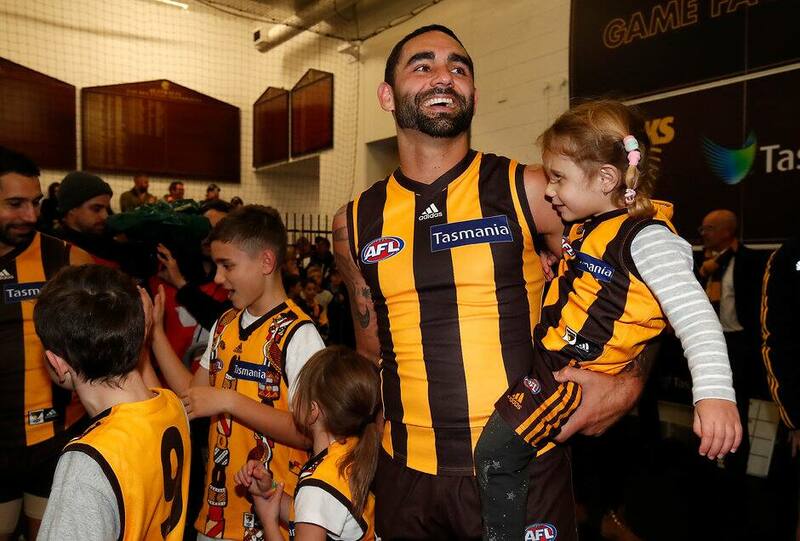 Burgoyne twice strained his hamstring this year – bringing to an end his 107-game consecutive games streak – but he recovered so well both times that the Hawks were happy for him to continue. "We're thrilled that Shaun will be playing on in 2019," Hawthorn general manager of football Graham Wright said. "He's been an exceptional player for our footy club for a long time, and the leadership, experience and versatility he brings to our playing group is certainly not undervalued. "We feel he's got a lot of quality footy left in him, and we're excited to see what he can produce for the remainder of the season, and again in 2019." Burgoyne needs to play 19 more matches to overtake Adam Goodes' 372-game record for the most AFL games ever played by an indigenous player.